2017-04-05 Sello de Tomás Luis de Victoria. 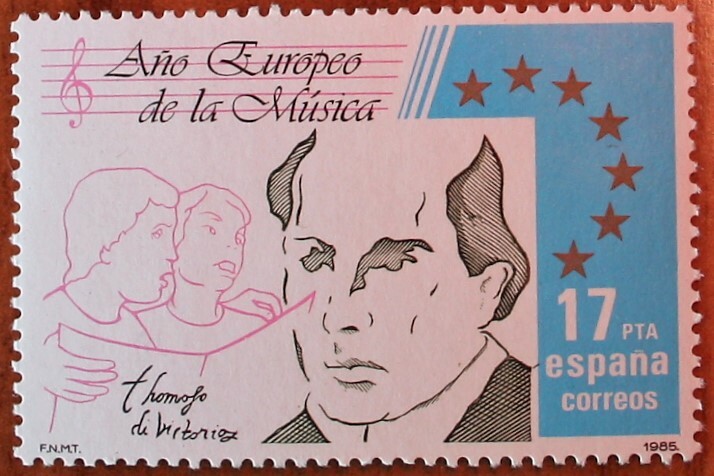 Stamp issued on 26 June 1985 for the European Year of Music. Comb 12 ¾ Calcography and offset. Multicolored. Face value of 17 pesetas. Print run 3,500,000 in sheets of 60.GODO-LUIS COLLECTION, free license with citation of authorship (profesorluisduran). Creative Commons Attribution.